When it came to lengthy, comprehensive, and time-consuming strategic planning, BoardSource’s board and staff had “been there and done that.” We had invested time, resources, and energy in planning processes that — while helpful and informative — didn’t necessarily deliver what we needed most: a guiding framework for ongoing decision-making, planning, and prioritization in a dynamic and unpredictable environment. That’s why, when the board and staff decided it was time to do some deep thinking about our future leadership and priorities as an organization, we knew that we needed to be deliberate about how to make sure that our planning process, which formally concluded in November of 2015, accomplished just that. We were determined to avoid in-depth predictions about strategies and tactics two, three, or even five years down the road (after all, how much sense would that make?) and — instead — define what was most important to us as an organization and how we wanted to organize and prioritize our efforts for the foreseeable future. As a learning organization committed to reflecting on our own practices and being open and honest about what we do well and where we’ve faced challenges, our board and senior leadership took some time to reflect on the planning process, and to document what we consider to be the key strengths and learnings from our planning process. Insight 1: Be clear on why it is (or isn’t) the right time to plan. For a number of reasons, our previous experiences with strategic planning had left us a bit “worn out” on planning. That is one reason why the board felt it was essential to be very thoughtful about whether or not the timing was right to embark on another planning process. What we realized was that — given the number of things that had changed in our internal and external operating environment — we absolutely needed to come together as a board and staff leadership team to do some thinking and prioritizing. Like many organizations, we have been through some tough financial years, and, after several years of stronger financial performance, we were ready to think bigger and more broadly about our future, and needed a shared vision and clarity about what was most important for us as we entered a new chapter of organizational growth and sector leadership. 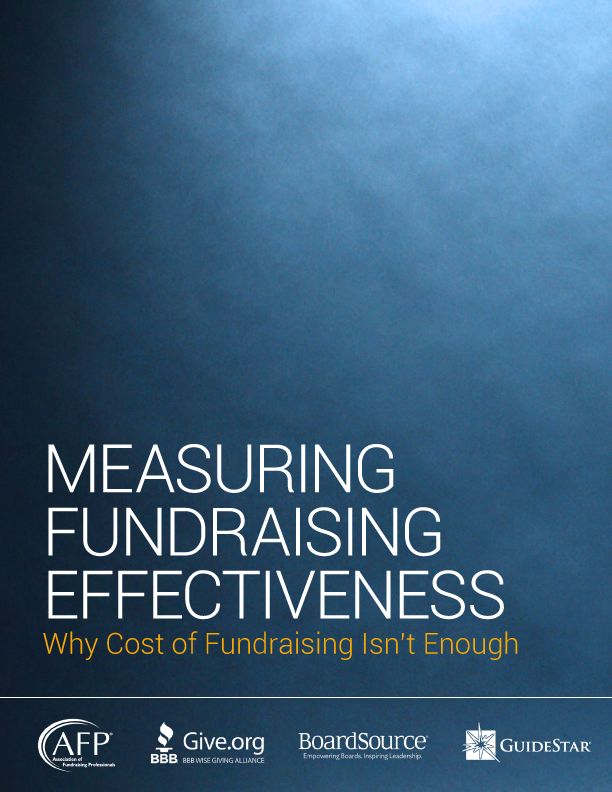 This was particularly important as we thought about how best to leverage finite human and financial resources and focus on those things that were most critical for us to do, and what could be done differently through partnerships or collaborations with others. And we needed — as a board — to grapple with those tough questions about what was really most important, and what could reasonably be shed, so that we could move forward with a collective understanding of who we wanted to be as an organization. Insight 2: Build a strong task force to lead the planning process. The task force’s primary role was to outline a series of inputs and conversations to ensure that the full board and staff were a part of the planning process, and to interpret and translate those insights and discussions to reflect the best thinking back to the full board. Given that weighty responsibility, we knew that it was critical that we be very thoughtful about the way that we composed the task force, so that it was well positioned to lead the work, while remaining open and inclusive to input and engagement from the full board and staff. From a leadership standpoint, we were very fortunate to have a board member who brought strategic planning and facilitation expertise, and was able to chair the task force. Together, the task force chair and the CEO decided that the “right size” for the task force was a total of nine people — five board members, the CEO, two senior team members, and one program manager who helped manage the strategic planning process. We knew that it was important that we be able to draw from diverse perspectives and vantage points, but also that we keep the group small enough to ensure that we could work together efficiently and effectively. The members of the task force came together with a powerful combination of rootedness in the learning and lessons of the past and openness and excitement for a new and different future. There was a sense of urgency about what we needed to challenge ourselves to do, and a healthy dose of realism about the need to avoid a laundry list of goals that we couldn’t back up with the financial and human capital needed to achieve them. We were ready to help the board both think big and get focused. Insight 3: Be creative about gathering input. We knew that we were not interested in a lengthy process. We wanted to come together as board and staff leadership team to reflect, but felt strongly that we needed an efficient process that didn’t start from scratch. The task force mapped out a planning framework that organized us around one major full-board planning retreat, which meant that we needed to be creative about how to effectively and efficiently gather input and insights so that we could come together for “one big conversation” about BoardSource’s future. What would BoardSource never do? What will BoardSource always do? What is BoardSource uniquely positioned to do better than any other organization, company, or firm? If we are what we do, who are we? This broad scan of internal and external perspectives on our work enabled us to quickly and efficiently cover a lot of important ground, and prepare the board for a conversation about what was most important for us moving forward. Insight 4: Treat the board’s time together as sacred, and prepare for it carefully. If BoardSource could do only one thing, what should it be? Do you envision a minor or substantial departure from our current path? If BoardSource announced that it was closing its doors in 60 days, who would we hear from and what would they say? When reflecting back on our strategic planning, several board members referred to that opening dinner as “magic.” It was amazing to feel the energy and passion in the room as we discussed what was most important to us as an organization. That conversation laid the groundwork for the work that we did the next day, which resulted in the formalization of a new vision, a clear mandate for expanded leadership and research, a more focused orientation to our audiences and the resources we provide them, and initial thinking around strategic imperatives and goals. All that in just 7 ½ hours. Insight 5: Be flexible — don’t be afraid to adjust your plans. At the start of our planning, we had mapped out a fairly specific timeline, which had us organized around a few key meetings of the task force, the planning retreat in June, and then discussion and approval of a strategic framework in September. But after the board retreat, we saw the need to adjust our plans. The retreat had accomplished a lot, but — if we were going to be ready to present a draft framework at the next board meeting — it was clear that there was a lot more work to be done, and that it would be challenging for the task force to do it all as a full group. So we added a small group planning session with the chair of the task force, the chair of the board, the CEO, and the three staff members on the task force. While not initially a part of the timeline, this session proved to be instrumental in organizing the input and thinking from the board into a strawman-type document for discussion by the task force. The full task force then discussed the strawman, made changes, and prepared it to share with the full board at our fall meeting. In the fall, we once again saw the need to adjust our plans. As the board meeting began, the board was prepared to discuss our strategic framework: a one-page summary of our draft vision, mission, goals and strategic imperatives, as well as a summary of our prioritized (and de-prioritized) audiences, and associated assumptions about the impact on our business model. As the board meeting neared its close, we had come to agreement on most aspects of the framework, but there was a sense that we would benefit from a little more work on the framing and language, as well as a bit more context on the business model impact. Rather than rushing that important work or pushing for full adoption before the board felt fully ready, the board approved the framework in concept and delegated the final framing to the task force. The task force reflected on and synthesized the feedback from the board and came back with a final recommendation at the next board meeting, and the framework was formally approved at that meeting in November 2015. That willingness to take a bit more time was important in terms of making sure that the board and staff were fully comfortable with the framework and excited to share it with the world. Our experience was that rushing or pushing would have been a mistake; our flexibility and willingness to extend the timeline ultimately served us better. Insight 6: Strategic planning will reflect the culture of the board — good or bad. When reflecting on our strategic planning process several months after it was completed, the board and staff were proud of not just the outcome of the planning, but what the planning process itself had revealed to us about ourselves and our culture as an organization and as a board. The success of the planning process — and the positive and productive approach that the entire board and staff brought to it — was both a product of and a testament to the board’s composition and culture. It was easy for the board to trust the task force because, overall, we had a culture of trust and respect and a high degree of confidence within and amongst board members. We were able to discuss and disagree with each other constructively because board and staff members were genuinely interested in hearing each other’s perspectives, and were comfortable contributing, disagreeing, and constructively debating different issues. And it was safe for us to take risks both personally and as a group because we had built the kind of environment where being open, vulnerable, and without ego or agenda was not just expected, but a natural part of who we are as an organization. Were there things that we would do differently if we could do it all over again? Of course. We would have spent a little more time talking about what it meant to adopt a strategic framework, so that there was even more comfort and understanding when it came time to approve a two-page document instead of a 60-plus page plan. We would have done more “process updates” throughout the planning, to keep board members and staff members better apprised of the work of the task force in between board meetings. We would have put more structure around the interviews with external stakeholders to make sure that all board members were getting feedback on similar questions. We would have more explicitly asked for feedback and input from committee chairs, so that it was clearer how the new framework would impact their scope and work. And we would have started earlier so that our final full-board discussion didn’t take place in the context of our annual conference; our busiest and most distracted board meeting of the year. But hindsight is 20-20, and — while learning and reflection is important — we’re excited to be focused on the future. And with a strategic framework that focuses us on priorities rather than predictions, we’re ready to embrace whatever our future brings. 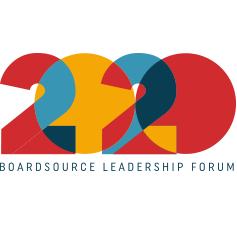 For more on the results of BoardSource’s strategic visioning process, visit boardsource.org/about-boardsource.